Come Play with the Bees! As our nectar flow begins to slow, new management considerations come into play in our apiaries. 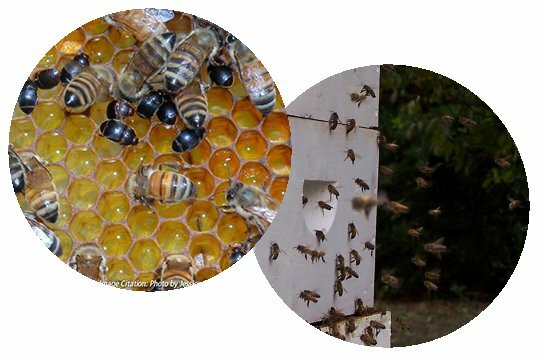 This month we will present a panel of veteran beekeepers who will discuss strategies on how to prevent the devastating phenomenon called “robbing”. There will be a video of robbing behavior for those who have never seen it and ideas on how to stop it if it does occur. In addition the panel will give some insights into the growing problem of small hive beetles. Please join us on Thursday 14th June 2018 at the Montgomery County Health and Human Services Building at 210 Pepper St., Christiansburg to hear this presentation. What you should have learned at last month’s meeting had you been paying attention! Close of formal meeting and, for many, the beginning of the “real” meeting. Join in for socializing, refreshments, and a time for asking questions. Please consider bringing a snack or beverage to share. This entry was posted in meetings, speakers. Bookmark the permalink. February 14th Meeting- Catch your own free bees and place your bid in our silent auction! Enter your email address to follow NRVBA and receive notifications of new posts by email.